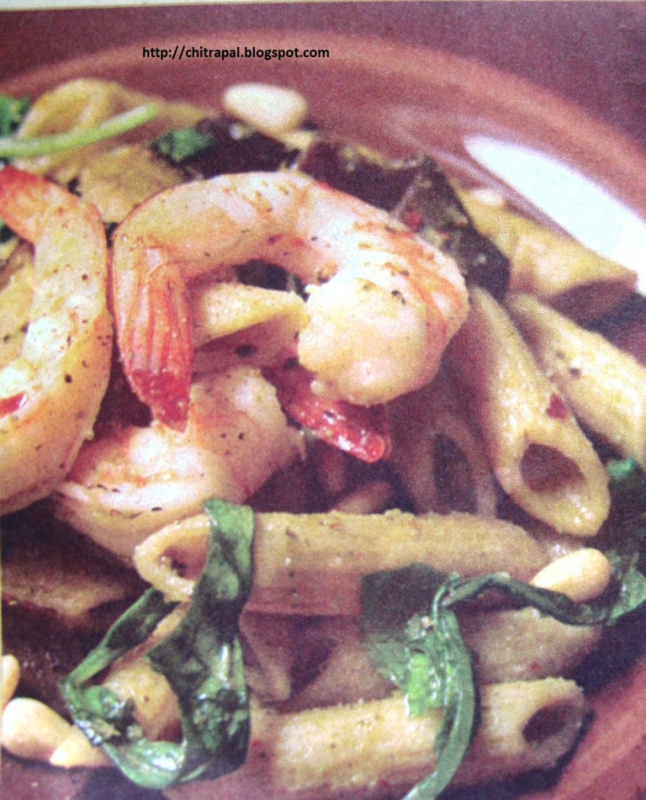 An amazing tasty fusion of Thai and Italian recipe. In a non stick pan melt butter with one tsp of olive oil ( so that btter does not burn). Add onion and garlic, when they turn little pink add apples. Saute until they turn little soft about 4-5 minutes. Meanwhile boil 5-6 glass of water for pasta, add 1 tsp of salt. When water starts boiling add pasta. Stir in curry powder and add marsala. Boil until liquid is slightly reduced and thickened. Add stock, fish sauce and red curry paste. Simmer until liquid is slightly reduced about 5 minutes. Add coconut milk. Simmer until slightly thickened and add shrimps, cook about 3 minutes. Drain the pasta and add in into the sauce pan. Transfer into the serving tray and garnish with fresh basil leaves. Very different recipe, I would love to try it.